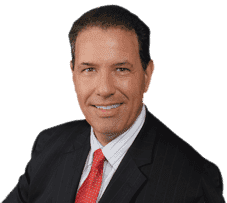 When you want to find a Deerfield Beach Auto Accident Attorney you can depend on, call Robert Gluck from the Law Offices of Robert E. Gluck, P.A. Since becoming a lawyer in 1989, he has helped many clients in their auto accident cases. He is completely dedicated to providing the legal guidance and support you need during this difficult time in your life. When you hire your Deerfield Beach Auto Accident Attorney, he will be sure to gather the evidence he will need to prove if negligence existed in your case to fight for the compensation you deserve. Negligence is the legal standard one must follow to avoid injury to others. If someone falls below that standard, then negligence existed and you may be entitled to financial compensation. Robert Gluck will start by speaking with you about all the details of your accident. As your Deerfield Beach Auto Accident Attorney, he will gather the evidence he needs, such as photographs of the accident scene, video surveillance, witness statements, property damage, and any other evidence he believes will help build a strong and solid case for you. Studies have shown people who hire a Deerfield Beach Auto Accident Attorney to provide them with legal representation can receive a higher compensation than those who don't. Robert Gluck will fight hard for you and be the voice you need to get you the positive outcome you want so you can focus on healing your injuries and moving forward.